Walter Hau t, the man who issued the press release that claimed the Army had recovered a flying saucer died Thursday, December 15, 2005. He was 83 according to published reports. Haut, it might be said, was the father of the Roswell UFO crash story. He was the man who gave the interviews, provided leads, and always seemed to have a new idea when the old began to fade. He was the link to Glenn Dennis, the mortician who reported bodies at a Roswell funeral home; to Frank Kaufmann, who claimed to have been an intelligence agent in Roswell and one of the creators of the cover up; and the man who conceived the International UFO Museum and Research Center for Roswell. Haut will be best remembered as the man told the world about the Roswell flying saucer. In later years he would confess that he no longer remembered if Colonel William Blanchard, the commander of the bomb group in Roswell, had called him with the specifics of the crash, had called with an already completed press release, or if Blanchard had ordered him to report in person. No matter which it was, Haut took the completed press release to the four media outlets in Roswell, the two daily newspapers and the two radio stations, and then went home. He told Russ Estes that he mowed the lawn. There was, for several hours, a firestorm around Roswell. Haut said that he got telephone calls from around the world, and at one time had a stack of envelopes and stamps from nearly every foreign nation. Although he had reported the debris found was from a flying saucer, the Army later said that it was from a secret balloon project. As that story took over, the phone calls dwindled. Haut told most researchers that his only involvement had been to write the press release. He hadn’t seen anything else personally, but he believed that the debris came from an alien spacecraft. Although the details he provided were sometimes confused, the overall story he told remained the same for nearly twenty years. The Army had recovered one of the flying saucers, sent it on to higher headquarters, and then those in Roswell had gone back to work. In the mid-1990s, Haut began to hint that he might have seen more than he had said originally. He had told me, repeatedly, that his only role was as author of the press release. He had attended staff meetings. In one of them Colonel Blanchard made it clear that they had found a weather balloon and no one was to talk about it again. Stories began to circulate that Haut was closer to the inside than he had let on. In a video-taped interview conducted by New Mexico UFO researchers, Haut said he had seen the craft and the bodies. That information was not to be released until his death. Haut, with friends Glenn Dennis and Max Littell, started the International UFO Museum in 1991. He was president until 1996. Littell died several years ago. Of those three, only Dennis remains. Haut was born June 3, 1922, in Chicago. He had trained during World War II as both a navigator and a bo mbardier. He served in the Pacific during the war and later, in 1946, participated in Operation Crossroads, the atomic tests at Bikini. He had been assigned to the 509th Bomb Group on temporary duty for the atomic tests, but that duty was expanded into a permanent assignment. In July 1947, he was a first lieutenant and worked as the Public Information Officer for the bomb group. He left the service the next year and remained in Roswell for the rest of his life. 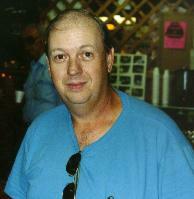 Haut was one of the main reasons that the Roswell case achieved international attention. He was well spoken, sometimes funny and always articulate. He provided information to all who asked for it, was courteous to the hundreds of people who showed up at his front door over the last two and a half decades, and who enjoyed his role as "Mr. UFO." With his passing, one of the pillars of the Roswell UFO crash has been lost. 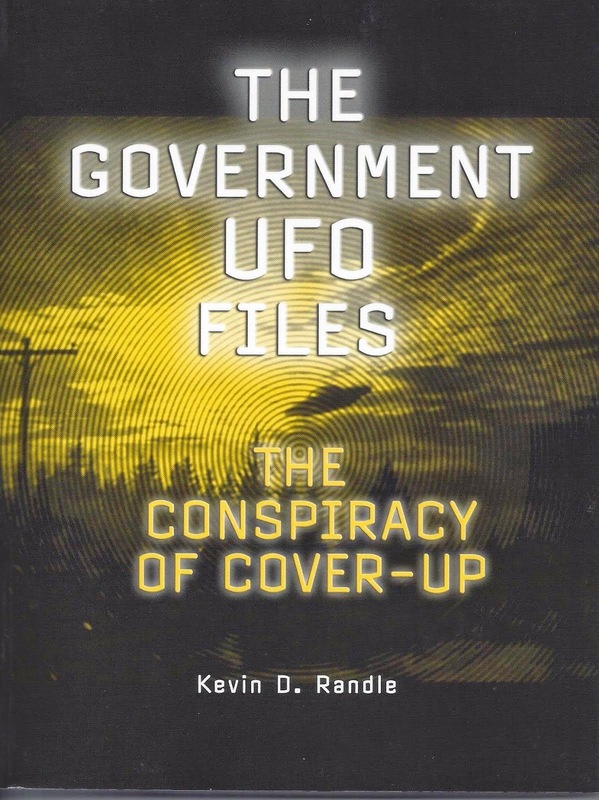 Dr Kevin Randle, has produced a thoughtful critique of my reliance on whistleblower testimonies as a basis for getting to the truth about the UFO cover up and the extraterrestrial hypothesis (see “Exopolitics”, 18 November 2006, http://www.kevinrandle.blogspot.com/ ). 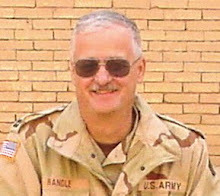 Dr Randle (also a Major in the Iowa National Guard) is on the record that the Roswell crash happened and that a political cover up of UFO and extraterrestrial related evidence exists. However, he believes that other than the Roswell case where whistleblower testimonies have been exhaustively vetted, and supporting evidence analyzed, that there is not sufficient credible evidence to support other whistleblower claims of UFO crashes and cover up of extraterrestrial technologies and entities. So Dr Randle cannot be dismissed as unsympathetic to the claims of a Cosmic Watergate and the veracity of whistleblower testimonies, it's just that in his view these need to be independently verified by hard evidence and documentation as the basis for reliable research. So he has consistently attempted to establish a very high evidentiary benchmark where all claims and background details of a whistleblower need to check out in order for the testimony to be accepted as reliable. If it is found, for example, that a whistleblower has embellished a part of their service record or testimony, then their entire testimony concerning UFO crashes, extraterrestrial entities or technologies, becomes unreliable.In his critique where he specifically focuses on my approach to exopolitics research, Dr Randle identifies four whistleblowers that I use as the principal anchors in my research and analyses: Master Sgt Clifford Stone, Command Sgt Major Robert Dean, Lt Col Philip Corso and Bob Lazar. In picking these whistleblowers, all of whom I believe to be credible, Dr Randle wishes to demonstrate the danger of using testimonies that are in his view unreliable and analyzing the political implications of these testimonies in a new discipline called exopolitics. He believes that using unreliable testimonies in this way leads to a highly distorted conceptual framework for understanding the UFO phenomenon and the extraterrestrial hypothesis. He concludes his critique with the following statement: "In other words, isn’t it time for the proponents of exopolitics to properly vet the backgrounds and the tales of the whistleblowers rather than simply defend them? Isn’t time for us to stop embracing every tale we are told that appeals to us simply because it appeals to us? Shouldn’t we instead search to find the truth in a field with the voices of the charlatans seem to drown out the voices of reason. "I think Dr Randle is quite correct in his statement that the backgrounds and stories of whistleblowers have to be vetted rather than simply defended. However, this straight forward request takes us into three very difficult process issues when it comes to vetting whistleblower testimonies. First, what threshold standards need to be established in vetting whistleblower testimonies? Second, what investigatory standards should be expected of those vetting whistleblower testimonies? Finally, what national security processes contextualize the vetting of whistleblower testimonies? As far as the first process question is concerned, Dr Randle advocates as a very detailed and exhaustive study of whistleblower claims, evidence and background to check for consistency and accuracy. If the whistleblower fails to be consistent and accurate, then the testimony is considered unreliable and either dismissed or put into the proverbial gray box. I will describe Dr Randle's method as the “parsimonious vetting approach”. On the other hand, there is a more 'nuanced' or 'whistleblower friendly' approach to vetting whistleblower testimonies where as long as certain threshold criteria are met then whistleblower testimony can be accepted as credible even if a few inconsistencies or inaccuracies are found. The second process question is more difficult since Dr Randle assumes that this is simply a matter of independent investigators coming in with a parsimonious vetting approach and imposing this on whistleblower testimonies. In contrast, I argue that investigators need to be sensitive to the national security implications of whistleblowers coming forward to make unauthorized disclosures of classified information. This means asking questions that are sufficiently nuanced and sensitive to the possible penalties faced by whistleblowers in revealing classified information. This means that those taking a parsimonious vetting approach may be asking the wrong questions of whistleblowers, and therefore get unsatisfactory answers or an incomplete picture of what is occurring. I have described in a short paper, ten examples of the wrong questions asked by investigators when interviewing whistleblowers disclosing classified information (see: http://www.exopolitics.org/Exo-Comment-30.htm ). Of course, researchers are free to agree or disagree with my list of ten questions to ask/not to ask whistleblowers. The important issue is that there is a difficult process issue involved here since there are severe penalties for disclosing unauthorized information that need to be considered when it comes to the vetting of whistleblowers. Finally, this takes me to the third and most controversial process issue: the national security processes that contextualize whistleblower testimonies. There is generally agreement among most UFO investigators including Dr Randle that a Cosmic Watergate exists. There is great disagreement, however, over the extent to which this Cosmic Watergate contextualizes the data collection process and the vetting of whistleblower testimonies. Some such as Dr Randle would argue that Cosmic Watergate involves merely the withholding of classified information; and that claims of evidence tampering, destruction and fabrication, are not supported by the evidence. On the other hand, some researchers (including myself) argue that evidence tampering, etc., is an important part of the national security system associated with Cosmic Watergate. I include this on a list of ten ways in which the national security system is designed to prevent unauthorized disclosure of highly classified information concerning the extraterrestrial hypothesis and UFOs (see http://www.exopolitics.org/Exo-Comment-32.htm ). Each of the three process issues I've identified impact on the vetting standards that should be used for alleged whistleblowers disclosing classified information concerning extraterrestrial technologies or extraterrestrial biological entities. I certainly don't agree with the vetting standard advocated by Dr Randle which in my view is too parsimonious, and fail to adequately take into account the national security implications of whistleblowers disclosing unauthorized information. At the same time, there is a need not to accept whistleblower testimony at face value and so some vetting is required in order to exclude charlatans and frauds as Dr Randle is rightly concerned about. Finding the right vetting standards in my view requires considering all three process questions when it comes to vetting and certainly requires those doing the vetting being sensitized to the national security implications for each whistleblower being investigated. I believe that the vetting standards I have used satisfy the minimum threshold in terms of the whistleblower being extensively interviewed by competent researchers, their military service or corporate service record being corroborated, independent witnesses interviewed, internal consistency of their claims, all circumstantial evidence checked, etc. In the case of Robert Dean, Dr Randle points to the cavalier way in which Sgt Dean was given the alleged Assessment detailing UFO/extraterrestrial visitations and the threat they posed to NATO. He argues against the plausibility of a such a top secret document being handled in that way, and the subsequent difficulty in proving the existence of such a document by Timothy Good. Nevertheless, it is a matter of the public record that Dean did serve in the Supreme Headquarter of the Allied Powers in Europe (SHAPE) and served in the Supreme Headquarters Operations Center (SHOC). So Dean served in the apex of the military command system for NATO in Europe and was in a position to view such a document if it existed. Given the extensive data supporting a UFO presence, it is quite logical to assume that NATO did authorize a top secret study of the possible threat posed by UFOs and any visiting extraterrestrials. If such a study was commissioned, then one or more copies would have been in the SHOC as Dean described. Given his distinguished 27 year military service and government employment, there is no reason to believe that Dean would fabricate such a story. He was in the right place and time where such a classified NATO study would have been authorized and analyzed by senior NATO military officers. He would be an example of someone who meets the minimum threshold criteria for whistleblower credibility. This take me to the case of Col Corso who continues to be dismissed by UFO researchers for allegedly embellishing his service record by claiming to work in the National Security Council as opposed to the less prestigious Operations Coordinating Board that reported to the NSC. Further, he has been criticized for claiming to be the head of the Foreign Technology Desk at Army Research and Development for two years, when his service record states he was only in this position for three months. In Dr Randle's views, these embellishments make Corso's testimony unreliable. I have argued elsewhere that an independent FBI report stated that Corso served in the Operations Coordination Board National Security Council thereby answering critics such as Brad Sparks who claim that the OCB was not part of the NSC prior to 1957 and Corso deliberately embellished his background. As for his military record stating he was head of the Foreign Technology Desk for three months rather than the two years he claimed, there are a number of plausible explanations for this discrepancy such as the slow moving nature of the Army bureaucracy, but no reason to deny that Corso was a trusted aide of Lt General Arthur Trudeau who gave Corso the special assignment he claimed and expedited the process whereby Corso could begin the covert duties assigned to him regardless. The recent testimony by Paul Hellyer, former Canadian Defense Minister, where he claims an anonymous retired USAF General confirmed Corso's claims, suggests that these minor inconsistencies do not in any way impact on the veracity of Corso's central claims concerning the dissemination of ET technology into the civilian sector. Again, I would argue he meets the threshold criteria for whistleblower credibility. This takes me finally to Bob Lazar who has been vilified by many UFO researchers for his claims to have worked at S4 on the reverse engineering of extraterrestrial vehicles. There are a number of inconsistencies pointed out by researchers such as Stan Friedman concerning Lazar's testimony, but there continues to be strong support for Lazar from credible investigators such as George Knapp. Knapp and his investigatory team have been able to, for example, confirm that the W2 supplied by Lazar was authentic and that he did indeed work at the Meson facility at Los Alamos, and that other Los Alamos personnel were given threats not to discuss Lazar's employment. Most criticism of Lazar rests on the absence of evidence of him completing two masters degrees, yet it is highly unlikely that someone would work at a prestigious facility at such as Meson Particle Facility without having at least completed a Bachelor's degree. It is very likely that, as I and others have argued, his educational and employment records were removed as part of the security procedures in place for him working at S4 and/or for minimizing the impact of his disclosure once he became a whistleblower. In conclusion, each of the four whistleblowers have been extensively investigated and there continues to be strong support for their credibility by a number of competent researchers. If one attempts a vetting process that is based on the three process issues I have described above, I believe that each of the four whistleblowers would pass a satisfactory threshold of credibility to exclude possible charlatans and ensuring whistleblowers with high credibility emerge. As a result of accepting the testimonies of these whistleblowers, considerable headway can be made in understanding the nature of the national security system that has been created to maintain Cosmic Watergate. That is the basis of the exopolitical model I use in doing my own research on the political implications of the extraterrestrial presence. I consider a parsimonious vetting approach to whistleblower testimonies plays into the hands of those wanting to perpetuate Cosmic Watergate by interfering with the evidence and documentation that is cited by whistleblowers or used to determine their credibility. This often leads to the criticism that whistleblowers who claim that hard evidence and documentation has been removed that would substantiate their claims are making claims that can't be falsified (as in Karl Popper's 'falsifiablitiy thesis) and therefore one moves out of the scientific arena into the arena of faith. In contrast, this criticism can be turned on its head since it is a matter of faith to believe that a purely objective scientific process can be used in a field distorted by national security processes where hard evidence and documentation is removed or altered. This is an important process issue that whistleblower testimonies force researchers to confront, albeit with great reluctance as evidenced by Dr Randle’s critique. I nevertheless thank Dr Randle for providing his critique and giving me an opportunity to reply, and explain the appropriateness of my exopolitical approach to whistleblower testimony. I have spent a great deal of time in the last few weeks looking over the Exopolitics sites that Dr. Michael Salla has created. I have followed many of the links that Dr. Salla listed. I expected very little in the way of evidence to be associated with this information given the nature of the discussions I have read. I wasn’t disappointed. There is little of substance there. There is a great deal that is derived from the so-called whistleblowers testimony, taken by Dr. Salla as the truth, the whole truth and nothing by the truth. However, if it turns out that some of these whistleblowers have been less than honest, then much of his theoretical framework will collapse. This means simply, that if the whistleblowers are not telling the truth, or are embellishing their role in the recovery and investigation of UFOs, a structure that uses that information as its basis is fatally flawed. Dr. Salla puts a great deal of faith in the testimonies of people such as Cliff Stone, a retired Army Sergeant First Class; Robert Dean, a former Command Sergeant Major; Philip Corso; who retired as a lieutenant colonel and who died several years ago, and Bob Lazar who claimed to have worked at the super-secret Area 51. There is good evidence that each of these people has embellished his role in relation to UFO evidence, and in some cases they told outright lies. Take as a quick example, the tales told by Cliff Stone. He says he was not trained as a clerk-typist when he joined the service but his Army records show only training as a clerk. His record shows that his only assignments were as a clerk or an admin specialist or in other roles in that arena. His record shows that he served in Vietnam, though it is not clear how long he was actually in-country. His records indicate that he was a clerk as the Army mission in Vietnam wound down and that he had no combat experience. He was awarded no decorations for valor. Stone has said that when he reported for duty in Vietnam, he requested a combat assignment because he had no training as a clerk. His request was denied by the company first sergeant. He said that, during his tour, he would periodically crawl out of the base camp, through the wire, to engage the enemy. There is nothing in his record to suggest this is true. When he completed his Vietnam assignment, he returned to the United States and to the mundane world of clerk-typist. Most Vietnam veterans would dispute Stone’s claims of personal firefights with the Viet Cong and his one-man missions outside the wire because they simply know better. Individual soldiers did not crawl through the base camp wire to engage the enemy. Those who tell similar stories have universally been shown to be lying about those events. To provide an additional example of embellishment, Stone has claimed that he was involved in the Kecksburg UFO crash. His role seems to have changed over the years, as additional information has come to light. For example, Stone had said originally he called the Unsolved Mysteries hotline after they ran their Kecksburg UFO story. Stone said he had personally witnessed the armed military convoy, helmeted soldiers and a flatbed truck carrying the damaged UFO out of Kecksburg. On Sightings in 1992, Stone made a similar claim (which means the claim is documented on videotape). Stan Gordon, the main researcher into Kecksburg, said that Stone told him that he, Stone, was a civilian and that a friend at Lockbourne AFB, Ohio, called to tell him that the UFO that was in the news had been brought to the base. The friend (conveniently unidentified), picked up Stone and drove him to the base where Stone hid in the car in the parking lot outside a back gate and saw the convoy carrying the UFO arrive, stay awhile and then leave for Wright-Patterson AFB, also in Ohio. Stone has not renewed these claims since 1992 or 1993. Now, however, when challenged about his involvement in this case, Stone claims that he "remote viewed" the site. He hadn’t physically been there but had "seen" it. This seems to be a new twist to explain how Stone, then a 16 year-old student living some 90 miles away from Lockbourne AFB and not all that close to Kecksburg, might have been in a position to see the convoy. So, in all, Stone has claimed to have been in Kecksburg, then, rather than being in Kecksburg to witness the convoy and all the ancillary events, he changed the story to having seen the convoy arrive at one Air Force base before it was transferred to another. And, finally he remote viewed it. So, which version is the truth? As added evidence, if such is necessary, Stone has suggested that it was his research and his inside knowledge of government UFO investigations that lead us to the secret UFO project known as Moon Dust. He claims to be the first to reveal anything about it but when challenged to provide specific information, he has failed to do so, giving the excuse that he is not free to discuss all aspects of his military service. What this means is that we know the code name of Project Moon Dust was changed after it was compromised in the mid-1980s. Since Stone suggests that he was the source of the original information for Moon Dust he released classified information and since he was part of that project, at least according to him, he should know the new, and classified code name. But, when we asked for the new name, he said that he wasn’t free to give out that information. Stone "cherry picks" the information he shares with us, but the real point is that nothing he provided was key to learning anything new. In other, more precise words, he told of nothing that wasn’t already available in the UFO community through other sources. But more importantly, there is no way to verify his claims because he would refuse to answer the specific questions, claiming that he was not free to release the classified details. With no way to verify his claims there simply is no reason to accept his story as being true. Robert O. Dean appeared on the UFO scene with the claim that, as a senior NCO at NATO in the 1960s, he saw a top-secret document he called "The Assessment." It was allegedly a report that detailed the recovery of a crashed extraterrestrial ship and the alien pilots. Dean said that he had been a command sergeant major, which is the top enlisted grade in the Army. He said that he served at NATO Headquarters, and that he held a Cosmic Top Secret clearance while assigned there. As near as I can tell, all these claims accurately reflect reality. As a brief, side note, many have suggested there is some significance to the term Cosmic Top Secret, believing that this proves some sort of a connection to the extraterrestrial. Cosmic Top Secret, however, is just a level of classification at NATO to determine that the clearance or the classified information comes from NATO as opposed to another organization. Dean claimed when he spoke in Roswell that he was on duty about two in the morning in NATO’s War Room and was having trouble staying awake. Then, in a colossal breach of security, "an Air Force bird colonel thumped it ["The Assessment"] down on my desk…" In an interview published in the winter 1995-96 issue of UFO Update AZ magazine, Dean went a little farther saying, "…this Air Force controller, a bird colonel…pulled this thing out of the vault and he said, ‘Here, read this.’ This will wake you up." Dean later amended the story saying that one night, while on duty, he removed "The Assessment" from SHAPE's security vault. In this version he says nothing about the Air Force colonel who dropped the document on his desk. In yet another version, Dean suggested that when he arrived at SHAPE for a tour there, he learned the study was already underway and that having the required clearance, he often studied the pages while passing time in the quiet evenings. Except that having the required clearance didn't automatically give him a "Need to Know," and without that, he wouldn't have had access to the document. His position at SHAPE certainly didn't require that he be brought in on something like "The Assessment." In fact, his assignment at NATO does not suggest a need to deal with any classified material and certainly nothing classified as Cosmic Top Secret. The reason for the "need to know" requirement is to limit access and reduce the possibility of compromise. In this case it seems the regulations would have worked had Dean not violated them. He then leaked the information to the rest of us. That is, if we can believe this is true. An Investigation of "The Assessment"
Others inside the UFO community, especially those in Great Britain because some of the top NATO officers are from Great Britain, attempted to verify the story. Timothy Good, author of Above Top Secret and Alien Liaison working with a high-ranking British officer, Admiral of the Fleet, The Lord Hill-Norton, undertook an investigation about "The Assessment." It should be mentioned here that Hill-Norton was a friend of Good and that he had written introductions to both of Good’s books. This suggests that he isn’t a governmental dupe or of a skeptical bent. He said that the report interested him, especially the alleged connection to NATO and he suggested that he and Good attempt to learn the truth about it. Dean suggested that a number of academics had been brought into the research after the craft had been found. Dean said that Professor Sir Fred Hoyle had worked as a consultant. Good wrote to Hoyle telling him Dean had said that he was one of the "top brains consulted," and that he, Hoyle, had made a statement to the press on May 10, 1971, that suggested Hoyle believed the probability of extraterrestrial and/or extra dimensional beings. Hoyle’s response? "There is not an element of truth in this story. There was no statement to the press." There is always the possibility that there was some kind of a misunderstanding, but Hoyle’s response is quite definitive. He was not involved in any of this contrary to Dean’s claim. There were others named by Dean and who were found and quizzed. Many of these were high-ranking officers inside of NATO and it could be argued that their denials are their attempts to protect the information. It could be argued that they would have to answer in the negative because the information would still be highly classified. However, the questions asked and the answers given, don’t seem to suggest that the officers were anything less than honest and that they were not protecting a still classified document. Good and Hill-Norton told Rear Admiral Michael Moore, the one time Deputy Assistant Chief of Staff Operations to the Supreme Commander SHAPE Europe, that Dean had claimed there was a UFO recovery in Europe and what did had been said about "The Assessment." Moore eventually wrote that they, meaning he and his assistants, had gone to considerable trouble to trace the officers who had been mentioned by Dean as having worked at SHAPE. In other words, they were attempting to learn as much as they could and were trying to verify the existence of "The Assessment." Eventually Moore would write to Good telling him that he had found no trace of "The Assessment" at the Headquarters, and that he and his staff had searched carefully. They had been told by many that the document was nonexistent. That certainly didn’t look good, but then, it only proved that "The Assessment," if it existed, was well hidden. In the world of classified information, especially with a document that is highly classified, it might be difficult to find any trace of it. It can be argued that the mere confirmation of the existence of the document is a violation of security. In rare cases that is true but the vast majority of the time, an admission of the existence of a document does not compromise it. There were other troubles with Dean’s story. 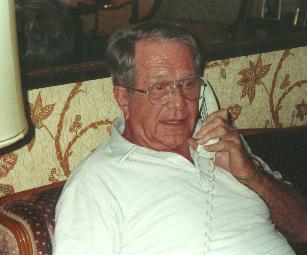 In 1992, Dean met with Good and Hill-Norton while Dean was traveling in Europe. After that meeting, Hill-Norton wrote to Good, telling him that he thought Dean was telling the truth. He did note, however, that although Dean claimed to have been in the Intelligence Section, his records showed that he was in the Language Group. Dean provided a document dated on June 20, 1963 that related to his clearance with SHAPE’s intelligence section but it was found to be a fake. The Cover of "The Assessment"
Other documentation also failed to be authenticated. Dean provided a color photograph of the cover page of the English edition of "The Assessment." Tim Good passed it along to Moore. When Moore left SHAPE, the cover was passed on to Dr. Pedlow, Chief Historian at SHAPE. Pedlow took "The Assessment" apart. He wrote that those at the SHAPE Historical Office had spent two years trying to find "The Assessment." The color photograph of the cover, supplied by Dean, proved to be the downfall of Dean’s tale. Pedlow detailed the steps they all had taken to find any reference to, or any indication that "The Assessment" was a real document. This included the office of the US National Military Representative of SHAPE, the files of the International Military Staff at NATO, Special Collections Division of the National Defense Library in Washington, D.C., and, quite naturally, their own historic files. Pedlow wrote, "Nowhere have we been able to locate evidence that such a document ["The Assessment"] ever existed." Pedlow went even further. He wrote that the Cosmic Top Secret (CTS) control number did not use the proper format, that it was in the wrong place on the document and worst of all, there was a lack of a file reference number. All SHAPE documents from the time of "The Assessment" contained a series of numbers and letters that showed the originating office and subject area. It goes on. The statement the document is classified NATO COSMIC TOP SECRET is incorrect. And the use of the code word, ULTRA on the cover sheet, gives it away. Pedlow wrote that to his knowledge, and that of his staff, ULTRA had never been an access control code in the NATO system. ULTRA referred to a project under British control during the Second World War. In the end, Pedlow said that he was skeptical that a document like "The Assessment" ever existed. Both Good and Hall-Norton concluded that "The Assessment" was not real. When Good gave Dean the results of the investigation, Dean wrote that he had never said that he knew the photographs of the cover sheet were accurate and legitimate. He was, in other words, attempting to spin the negative results. It can be suggested that these negative comments and results do not prove that Dean was less than honest. It can be said that those contacted had good reason to deny the existence of "The Assessment." They were merely protecting a highly classified report even though Dean had supplied what was supposed to be the cover of that document. But the problem is that the investigation was made by men who clearly accepted the extraterrestrial as real and who were not part of a government debunking effort. In all the searches, neither Good nor anyone else had been able to corroborate the existence of "The Assessment." So, while Hall-Norton and Good believe that Dean was telling the truth about his military service they no longer believed there was a document called "The Assessment." Finally, arguing in a somewhat circular fashion, Dean has suggested that he hasn’t been prosecuted for revealing the highly classified information because it would require an open court case that the government wants to avoid. This, he suggests proves he is telling the truth. The government doesn’t want to admit that "The Assessment" is real. To prosecute, they would have to admit that Dean had revealed classified information. But maybe the reason he has avoided prosecution is because he violated no laws, he revealed no classified information, and therefore broke no law. In other words, if "The Assessment" never existed, there would be no reason to prosecute him. If these two testimonies and already the discredited tales of Philip Corso (for more information on Corso please see http://www.cufon.org/cufon/corso_da66.htm) and Robert Lazar (for more information http://www.serve.com/mahood/lazar/lazarmn.htm and http://www.ufowatchdog.com/hall3.html) were used to develop an exopolitics theme, then aren’t those theories badly flawed? And if these testimonies are removed from exopolitics, then won’t it be necessary to rethink the underlying themes of exopolitics? And finally, just what good are theories and suggestions for human behavior as it relates to alien visitation if those theories are the products of invention and fabrication? In other words, isn’t it time for the proponents of exopolitics to properly vet the backgrounds and the tales of the whistleblowers rather than simply defend them? Isn’t time for us to stop embracing every tale we are told that appeals to us simply because it appeals to us? Shouldn’t we instead search to find the truth in a field with the voices of the charlatans seem to drown out the voices of reason. The Roswell UFO crash case has been solved – yet again. Nick Redfern, writing in his new book, Body Snatchers in the Desert has proposed a somewhat new but not extraterrestrial explanation. He suggests that what fell in Roswell was an American high altitude experiment that contained the deformed and mutated bodies of Japanese captured at the close of the Second World War. The object that carried them was a huge balloon modeled after the balloon bombs launched during the war and a wooden flying wing type craft designed by the German Horten brothers, that was taken from the Nazis. 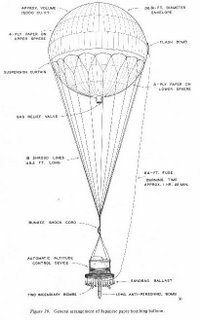 Redfern suggests that those who found the wreckage, the officers at the Ros well Army Air Field did not immediately identify the craft because of the weird construction, the aluminized rubber that made up the balloon and other elements that seemed to defy easy explanation. The craft had carried five pilots (or possibly four), all killed in the crash. As the strange contraption broke up, a segment about nine meters long, had fallen away. One of the pilots was sucked out the craft as it came apart, and this is what Mack Brazel found on the ranch he managed near Corona, New Mexico. This experiment, designed to expose the captured Japanese to high altitude to find out what would happen to the human body, could not be exposed to the general public. At the time, July 1947, the United States was trying Nazis in Nuremberg for crimes against humanity. Some of those crimes included experimentation on human subjects without their consent. Now, according to the Redfern’s theory, the United States had done the same thing. It would be the height of hypocrisy if the United States were engaged in the same sort of human experimentation. The one thing the theory does do is explain, to some extent, the various aspects of the Roswell case. It has a nice theory for the two crash locations, it explains why the government, in this case the military, would work so hard to hide the facts even today, and it explains the small bodies claimed to have been seen by so many of the witnesses of the Roswell case. First, I’m not sure why the Horten Brothers flying wing designs have been dredged up again. During the 1930s and the 1940s, these two German brothers worked on what was thought of as tailless aircraft. They had ten or twelve different designs, some of which crashed after only a few flying hours and others that were thought to have been scheduled for mass production but never were. The Nazis needed a long-range bomber, one that could reach to the United States, and one or two of the Horten brother designs were supposed to have had the range. At the close of the Second World War, the Horten brothers aircraft plants were overrun by the Soviets. Nearly everything was carted back to the Soviet Union and there was speculation that the Soviets would build as many as 1800 Horten flying wings as a bomber force to counter the United States build up of long range, strategic bombers. In the United States, there was a similar flying wing project, this one created by Jack Northrop. It began prior to the Second World War. The plan also called for the development of a long-range bomber, but other priorities and technical problems kept it from completion. After the war, a four-engine version was created which flew a number of times. In June and July 1947, these aircraft were grounded with gearbox problems, which effectively removed them as one explanation for the flying saucer reports being made. Although the Northrop flying wing was suggested as a possible source of the Roswell debris, there was never any evidence that it was. Some believed the flying wing might have been responsible for the sighting of strange objects on June 24, 1947 by Kenneth Arnold that launched the modern UFO era. But again, the craft were grounded at the time and there were not nine of them in the arsenal. The Northrop flying wing was proven not to be responsible. Back to the Horten brothers. One of their designs, known as the Parabola, certainly looks like the object Arnold sketched in the years after his sighting. The problem is that the first drawings Arnold made, in the days after the sighting, look little like the Parabola. And, again, there is noo evidence that any of the Horten designs were flew from the White Sands Missile Range, or that anything designed by the Hortens was built here. The Soviets got all of that when German defense collapsed in 1945. That takes us back to the Japanese, and what were called the balloon bombs. Starting in 1944, and continuing into 1945, the Japanese launched about 9,000 of these things. It was a project that started because the Japanese had discovered the jet stream and realized that a balloon launched in Japan would reach the western hemisphere, most probably the United States in two or three days. If they put bombs on the balloons, along with some instruments, they could conceivably attack the United States. The trick actually worked. Balloons launched in Japan, rose during the day and fell during the night. 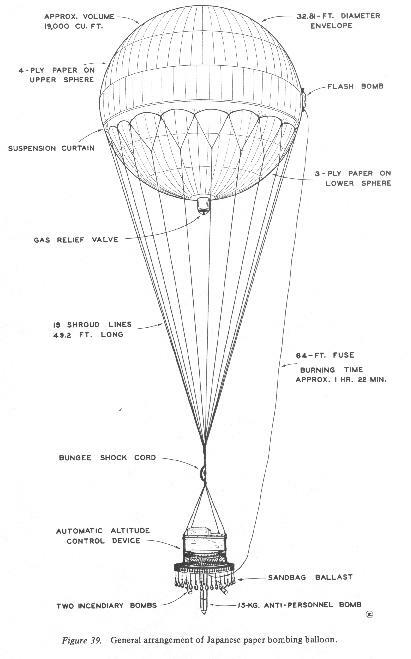 Sandbags were attached and programmed to drop if the balloon dipped too low. This way it maintained its altitude. After cycling a number of times, two or three, the bombs would fall. The Japanese knew that the odds were that the bombs would not hit a city, but did make plans to drop incendiary devices in the northwest, hoping to start forest fires. Records indicate that about 250 balloon bombs reached the Western Hemisphere, falling as far north as Canada, as far south as Mexico City and as far east as Michigan. Any damage done was of little consequence. The US Office of Censorship, a wartime creation, working along with the FBI, suppressed the story during the war. They believed that Japanese spies, seeing the public information, would report home, telling of the success. That would increase the number of balloons launched. The censorship worked well, but was changed when six people in Oregon; a woman and five children on a picnic were killed when a bomb detonated. They had found one of the balloons, lying in the forest and pulled on it causing one of the bombs to explode. At that point a "whispering" campaign began to alert the population about the bombs. While the ingenuity of the project can’t be questioned, it is still a balloon. The technology to create the balloons wasn’t special, and in fact, wasn’t all that advanced. These were, after all, balloons. It means, there is no reason to suspect that Japanese balloon technology was married with Horten flying wing technology to create some sort of hybrid balloons toting aircraft which carried the deformed, captured Japanese two years after the war had ended. This wasn’t the first time that such a theory had been suggested at least in general terms. Back in the early 1990s, as I began my research into the Roswell crash, I interviewed a man who worked with NASA at the White Sands Missile Range. Gerald Brown suggested that experiments using the A-9, which is a two stage, modified V-2 rocket, might have been responsible for the debris found by Mack Brazel. He believed that Duraluminum might explain the lightweight, thin metal that had been described by Roswell Army Air Field intelligence officer, Major Jesse Marcel, Sr. In fact, Brown had an explanation for everything found on the ranch with the exception of the bodies. He did speculate, suggesting that some kind of flying wing, this one designed by Northrop, had crashed while carrying five chimpanzees dressed in silver flying suits. Since the experiment related to the space race, and since launch operations at White Sands had been closed down because of an accident in May 1947, those involved hid their mistake. They feared for their jobs. All this was laid out in UFO Crash at Roswell on pages 168 to 170. The problem here was, again, no flying wing was missing from the inventories, there was no record of such a launch at White Sands, though the records did exist for the period, and there were no reports that animals had been killed in the tests. A year later, as experiments were designed to test the rigors of launch physics and the dangers of upper atmosphere flight were made, animals were launched. Those records also exist. What this tells us here is that rumors and stories of experiments pre-existed the revelations of Redfern. In fact, I had told many people that if I could find evidence of an experiment, preferably illegal, which had resulted in the deaths of human subjects, that would be a much bigger story, at least in terms of what the journalistic community was willing to believe. Too many reject the idea of an alien spacecraft crash out of hand. But discover, and prove, some sort of underhanded experiment by the government and nearly everyone would jump on board. The problem for me was the lack of anything substantial. The records that I had examined at White Sands, in Alamogordo, at the National Archives, at the Southwest History Museum in Roswell, at the universities and government offices in Albuquerque and Santa Fe revealed nothing to lead in that direction. Then there was the debris described by the witnesses including Jesse Marcel, Sr.; Bill Brazel, son of Mack; Loretta Proctor, and Sallye Tadolini, whose mother, Marian Strickland, had been a neighbor of the Brazels in the summer of 1947. If we stuck to these descriptions, then a terrestrially manufactured machine, even an experimental craft, seems less likely. In an interview conducted in February 1989, Bill Brazel told me about the exotic debris he had found on the ranch. He said, "The only reason I noticed the foil was that I picked this stuff up and put it in my chaps pocket. I had it in there, two, three days and when I took it out and put it in the box I happened to notice that it started unfolding and flattened out… I would crease it and lay it down and watch it." He also described a small piece of debris as light as balsa wood but that was incredibly strong. He said, "The piece I found was a jagged piece." He said that he tried to whittle on it, but couldn’t even get a sliver, suggesting something much tougher than anything used in a balloon. He mentioned something like fiber optics. He said, "Now there’s this plastic they put a light down one end and it transfers the light down that thing and come out the end." None of the items, as he described them, other than the fiber optics, appears in today’s world. It is as if we haven’t figured out the secrets of them. He did say that his father, Mack, had told him, "That looks like some of the contraption I found." That statement, of course, connected the strange debris, which didn’t resemble either a weather balloon or the pieces of a Horton brothers flying wing, ties the strange material found by Bill to the descriptions of the others such as Jesse Marcel. Sallye Strickland Tadolini was a young girl in 1947. 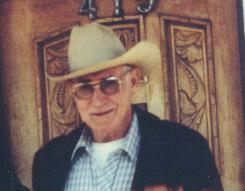 Bill Brazel, about a decade older, showed up at the Strickland New Mexican ranch house a few days after the crash. He had the strange foil with him and let the others have a look at it and play with it. Tadolini, in an affidavit for the Fund for UFO Research described it this way. "What Bill showed us was a piece of what I still think of as fabric. It was something like aluminum foil, something like satin, something like well-tanned leather in its toughness, yet it was not precisely like any one of those materials. While I do not recall this with certainty, I think the fabric measured about four by eight or ten inches. … Bill passed it around and we all felt of it. I did a lot of sewing, so the feel of it made a great impression on me. It felt like no fabric I have ever touched before or since. It was very silky or satiny, with the same texture on both sides. Yet when I crumpled it in my hands, the feel was like that you notice when you crumple a leather glove in your hand. When it was released, it sprang back into its original shape, quickly flattening out with no wrinkles. I did this several times, as did the others." The others told similar stories of the material. Loretta Procter said they tried to burn a small piece, about the size of a pencil and failed. Jesse Marcel, Sr. said they hit a larger, metallic piece with a sledgehammer without doing any damage or marking the metal. What this really means is that there is a body of first hand testimony that suggests the debris found near Roswell was something extraordinary. The elements, the foil that would return to its original shape without sign of a wrinkle or crease, the extraordinarily tough metal that was as light as balsa but so strong that it wouldn’t cut or break like ordinary metals, and some something that sounded suspiciously like fiber optics at a time when no such thing existed on Earth, suggested the extra-terrestrial. Redfern’s theory hinges on the integrity of his anonymous, but alleged first-hand witnesses. Once, five or six years ago there were a number to stories told by alleged first-hand witnesses about themselves, what they had seen, and about alien bodies. Frank Kaufmann talked in detail about these things, as did Gerald Anderson, Jim Ragsdale and Glenn Dennis. Kaufmann offered copies of official documents to prove who he was. He had a letter that if authenticated, proved Roswell has been a spaceship crash. http://www.uforeview.net) said that the witnesses he refused to name had proven who they were by documents in their possession. To Redfern, this is proof that they are who they claim to be and that their tales can be trusted. Yet the same can be said of Kaufmann. His documents looked authentic, and were, after a fashion. Only after the originals were found, could we see the alterations he had made to the copies he had given us. He’d used whiteout and a copy machine to forge documents to support his claims. It should be noted that unless the original document is available for scrutiny, documents are of little value. As Frank Kaufmann said, "The Xerox is as loose as a goose." He meant that it was simple to forge documents in the modern age. Interestingly, in Redfern’s book, he uses some of the Kaufmann testimony to bolster his case, seemingly unaware that Kaufmann invented his role in Roswell. If Kaufmann made up everything and had no role in the Roswell case, then where does that leave Redfern? He used Kaufmann's description of the craft suggesting it was authentic to bolster his Horton brothers flying wing theory. Since we know that Kaufmann was inventing his tale, that testimony does nothing to support Redfern’s theory, and, in fact, detracts from it. So, if Redfern is wrong, and this wasn’t some kind of horrendous and illegal experiment, what is the answer? It’s the same as it has been for the last two decades. It was extraterrestrial. Redfern has even suggested that his answer makes sense because he can find no documentation to support it. He reasons, with some logic, those conducting the experiments, knowing that they were illegal, destroyed the evidence when they finished. The files were shredded, the remains of the craft were dismantled and burned and those with knowledge were cautioned to never mention it to anyone at any time. Redfern tells us that an extraterrestrial craft would not lend itself to such a cover up. Because the biological samples, meaning the alien bodies, were unique and because the craft and its components were unique, they would be preserved so that information could be gathered from it as our technology advanced. And, it would seem that he would be right. Logic argued in favor of his scenario. Destruction of everything related to the case if it was an illegal experiment and preservation of everything if it was extraterrestrial. But there are other aspects of this that do take us in the direction of the extraterrestrial. First, is the credible eyewitness testimony about the surprising and the unusual characteristics of the various types of material recovered on the field northwest of Roswell. Clearly, these were things that were beyond the technology of the times and, in fact, some of them are beyond our technology today. Second is the testimony of the witnesses who were on the scene. Jesse Marcel, Sr., said that this was something that came to Earth. It had not been made on Earth but it came to Earth. As an air intelligence officer, assigned to the base at Roswell, he was in a position to know what they might find out there, if it was Earth-based. He knew about balloons and experimental aircraft and he was convinced that the components he found were none of those things. Third is the testimony of Major Edwin Easley, the provost marshal at the base. In a conversation held about a year before his death, Easley told me that he believed the craft to be extraterrestrial. Now, before we get off on a tangent, let me put this into perspective. I had asked him if we were following the right path. He wanted to know what I meant by that, and I said that we thought it was extraterrestrial. He said, "Let me put it this way, it’s not the wrong path." Convoluted, and maybe a little confusing, but he, as a participant in the recovery, was telling me that the object that crashed was extraterrestrial. He confirmed that to family and friends in the weeks before he died. And Patrick Saunders, who had been on Blanchard’s primary staff in July 1947 also, confirmed the extra-terrestrial nature of the crash. Although he was always reluctant to talk about his involvement in the retrieval operation with UFO investigators, he did buy copies of UFO Crash at Roswell. He sent them to friends and family who asked him questions about the crash. On the flyleaf he wrote, "This is the truth and I never told anybody anything." To me it simply meant that the story as outlined, meaning there had been a UFO crash, was accurate. It meant that Saunders, based on who he was, had put into writing his opinion. And, what all the evidence means, when it is all taken together, is that Roswell was not some rogue experiment using deformed and mutated captured Japanese, but was the crash of an alien spacecraft because, when you get to the bottom line, those who were there would have recognized everything as terrestrial if that’s what it was. That is the most logical conclusion. Not that they were somehow fooled by the Horten brothers flying wing, a modified Japanese balloon bomb, and the deformed bodies of captured Japanese. The only answer that takes all the evidence into account is that this was truly something from another world. *A tip of the hat to Karl Pflock for the title. Back when I first went to school and someone asked the number of planets in the Solar System, the answer was simple. Nine. From sun-baked Mercury and cloud-shrouded Venus out to frozen little Pluto. Jupiter had the most moons and Saturn had the rings. Not much was known about Uranus or Neptune, other than each had multiple moons and that both were very cold gas giants. In today’s world we no longer know the number of planets in the Solar System. For years astronomers have been arguing about the definition of a planet with some of them suggesting that Pluto is simply too small to qualify. Of course, with modern technology, we now know that Pluto has three moons, two of them small and one of them large enough to have a name, Clarion. To complicate the issue, our explorations of the Solar System with robotic probes and the Hubble Space Telescope has taught us that three planets besides Saturn have rings. Jupiter has four and both Uranus and Neptune have some sort of ring structures. Both Saturn and Jupiter have complex systems of moons. Earth, it seems is unique in that it has but a single satellite, no rings, and oceans full of liquid water. So, we’ve learned that the Solar System, as it was originally introduced to me back in elementary school is no longer what we thought it was. More planets with rings and many more satellites than we thought. And maybe many more planets than thought. The changes are significant. So how many planets are in the Solar System? We know, now, that three objects, out beyond Pluto in what is called the Kuiper Belt have been found. They are about the size of Pluto, maybe a little larger or maybe a little smaller. The diameters are estimated to be around a thousand miles. They are smaller than our moon and smaller than many of the other satellites around other of the planets. The difference is these objects orbit the sun rather than a planet. So, if Pluto is thought to be too small to be a planet, then the answer is eight. If it is large enough to be a planet, then the other objects are also planets and the answer is twelve. Thinking about this, I don’t know of another time when there would be this sort of astronomical confusion. Yes, our ancestors originally knew only of those planets visible to the unaided eye. The invention of the telescope increased the number until there were thought to be nine. Now our technology has shown us other large planet-like objects so far from the sun to be nearly invisible and almost outside the Solar System. But our definitions have changed, or are changing with these new discoveries, and that is the area of confusion. Eight or twelve, and possibly even more that have yet to be found. The Solar System is now believed to extend out a light year or more and is discovered to be an increasingly complex structure. What this really teaches us that sometimes progress leads to confusion and that someone should have defined a planet a long time ago. Until we have a couple of answers, we won’t know how many planets are in the Solar System. To me, that makes astronomy a lot more fun. Not all that long ago the History Channel repeated a number of the old "In Search Of" episodes. These were interesting, not so much for the content, but because some of them were so out of date. Answers to questions that were once puzzling and mysterious have been found in recent years. The producers of the programs, in the 1970s when they were made, could not be expected to see into the future for these reports. Take, for example, the story of Anastasia, one of the daughters of the last Russian Czar. History had told us that the Czar, Nikolai II (or Czar Nicholas if you prefer an anglicized version of the name), with the members of the royal family, had been assassinated by the communists in the summer of 1918. The bodies were taken from the murder site and buried miles away. The communists controlled all that information, and while we outside the Soviet Union were aware of the assassination, we knew very little about it. Enter Anna Anderson (or Andersen, according to some information), a poor woman who was pulled from a canal in Germany about 18 months after the murders. Although her memory was faulty, she did suggest that she was Anastasia. She had been badly wounded during the assassination but she had survived. She spent her life trying to convince the world of who she was. Of course, surviving Romanovs, other relatives of the Czar living in other parts of Europe, thought she was lying about it. Former members of the royal house were split on the authenticity of Anderson’s claim. There were a few who believed her. She did seem to know things that only a member of the royal family would know, she did seem to have memories that confirmed her claim and she did have some scars that were like those on the real Anastasia. So Anna found supporters, lived in the shadow of her former royalty but never really gained the wealth that the old European family controlled. She died more than two decades ago. With her, died her secret, or so claimed "In Search Of…" There was no way that we would be able to resolve the questions, now that Anna was dead. The collapse of the Soviet Union, however, provided clues. Information that had been buried in state archives was now open for scrutiny. According to that new information, the royal family was awakened late at night, told to dress and then escorted to a basement room. There, believing that photographs were going to be made, the family arranged themselves in two rows. Without warning, armed men entered the room and began to shoot. The Czar’s daughters might have survived the first shots because they had sewn jewels into their clothes. The Czar’s son might have survived as well, only to be shot in the head when he was heard moaning. Anastasia crouched in a corner, wounded but not badly. A maid who was not killed by the bullets was bayoneted. Anastasia was also bayoneted. The assassins first took the bodies to a mineshaft and tossed them in. Later they were recovered, some were burned and others covered with acid. Eventually they were buried in a forest, the location hidden by the Soviet government. There were rumors that one of the Czar’s children survived. In fact, several women claiming to be Anastasia appeared over the years. Anna Anderson is the most famous. Eugenia Smith was another but the lion’s share of the attention went to Anderson. When Anderson was pulled from the water in 1920, she had no identification and she refused to give her name. She was transferred to a mental hospital where someone supposedly recognized her as a Grand Duchess. Not Anastasia, but Tatiana, one of her older sisters. She didn’t deny it, but she never said it either. When given a list of the Czar’s daughters, she crossed out all the names except Anastasia. Trying to prove her identity, officials arranged for one of her mother’s ladies-in-waiting to visit her. Anderson hid and the lady-in-waiting declared she was an imposter. Anastasia’s tutor, Pierre Gilliard said that he thought she might be Anastasia but later said she was not. Nikolia’s cousin, Grand Duke Alexander, after spending time with Anastasia said, "I have seen Nicky’s daughter." And a cousin, Princess Xenia (do you really think I could have not mentioned a princess with that name) was a supporter of the claim. Anderson filed suit in a German court in 1938, attempting to prove her identity. Anthropologist Otto Reche testified that Anastasia and Anna Anderson were one in the same, or that they had been identical twins. The suit was finally settled in 1970, with the court ruling, not that Anderson wasn’t Anastasia, but that she had failed to prove that she was. Then, of course, came the collapse of the Soviet Union. Included in the state archives, now available to researchers from around the world, was information about the gravesite. Excavations found that all but two of the Romanovs had been buried together. Missing, based on the evidence, were Alexei who would have become Czar and Anastasia. At least that was the consensus. Those other two had been buried somewhere else. The door that had remained slightly open was quickly closed. The "In Search Of…" program predated the discovery of DNA "fingerprinting" and DNA mapping. It predated the research that is so common now, that proves paternity in so many cases, and solves so many crimes. It was used to confirm that the Czar, his wife and three of his daughters, along with four others, servants, maids, and a doctor were buried together. Samples of Anna’s DNA (thought of as hair and blood samples so long ago) had been preserved. DNA of the Romanov family line existed in the members of that royal family. And with the majority of the bodies found, other DNA sampling was possible. The conclusion, based on the DNA evidence, was that Anna was an imposter. She was not the sole surviving member of the Czar’s family. The real Anastasia died with the rest of her family. But as is so often the case, the believers simply would not let go. The hair sample, which came from a North Carolinian who had outbid others for some cartons of books owned by Jack Manahan, who had married Anna Anderson late in life was challenged. In the box, packed by Althea Hurt, one of Jack’s relatives, was a sample of hair. There is no positive way to link it to Anderson, other than the box came from Anna’s husband and it was deduced that it was Anna’s hair. The provenance of it is somewhat shaky. The second sample is a section of intestine that had been kept at the Martha Jefferson Hospital. Here the provenance is better. The sample was sent from Charlottesville to England where the testing was done. Although mailed, it required special handling so that it could be tracked the entire way. The provenance, and a chain of custody because it had to clear customs, has been preserved. Believers suggest that the Romanov family, which has much to gain if Anna was proved not to be Anastasia, might have intercepted this package along the route and switched it for another DNA sample. One that surely would not match. But here we move into conspiracy a little too deeply. We have the definitive evidence in the form of DNA. We have the evidence from the Russian archives. We have the testimony of the men who carried out the assassination, in the form of careful reports made in 1918. Reports that were detailed enough that the majority of the bodies were found. Clearly there is no longer a doubt that Anna Anderson was not Anastasia. So, while the producers of "In Search Of…" in the 1970s believed that the question of Anastasia might not be resolved, it seems that it was. The documentation found in the Russian archives and the DNA evidence proves that Anna Anderson was not Anastasia. Don Schmitt and I met many times with Walter Haut, the public information officer of the 509th Bomb Group, the unit credited with finding the wreckage of a flying saucer. During one of those interviews, Haut told us that someone we should talk to was Frank Kaufmann. I called Kaufmann in January, 1990, and he hinted at inside knowledge. Over the next couple of years, he said that he was on the inside, had participated in the retrieval of the craft just outside of Roswell, had seen the bodies of the dead alien creatures, and had helped orchestrate the cover-up. He knew nearly everything, or so he hinted. Stan Friedman didn’t believe Kaufmann’s story. I did. I found little corroborations in it. For example, Kaufmann said that Brigadier General Martin Scanlon had been involved in the cover-up at Roswell. Scanlon, I learned, actually had a background in intelligence, having been an attache to the American embassy in London and later one of the architects of Air Force intelligence. Kaufmann’s naming of him seemed to suggest that Kaufmann knew what he was talking about. But it could easily have been a coincidence, which with what we now know, is the more likely explanation. When Kaufmann died his widow asked a number of UFO researchers including Mark Rodiegher and Mark Chesney to look at some of the papers that Kaufmann had left behind. What they discovered was the evidence that Kaufmann had fabricated his tale of involvement in the Roswell case, had forged documents about his military experience, and had created letters that were clearly faked. Kaufmann’s testimony was of no use and his tale nothing but invention. But suddenly there were other questions. What about Walter Haut? He was the source of the Kaufmann lead. And, while talking to Haut about a decade ago, we asked about Kaufmann. Haut told us that anything Kaufmann said was golden. That was his word. Golden. Now we knew it was not. Robert Shirkey had been assigned to the base in July, 1947, as an assistant operations officer. He claimed limited knowledge of the case, but did suggest he had seen debris from the crash carried through the operations building so long ago. He provided a description of that debris that didn’t really match that given by other witnesses. It was close, but no real match. 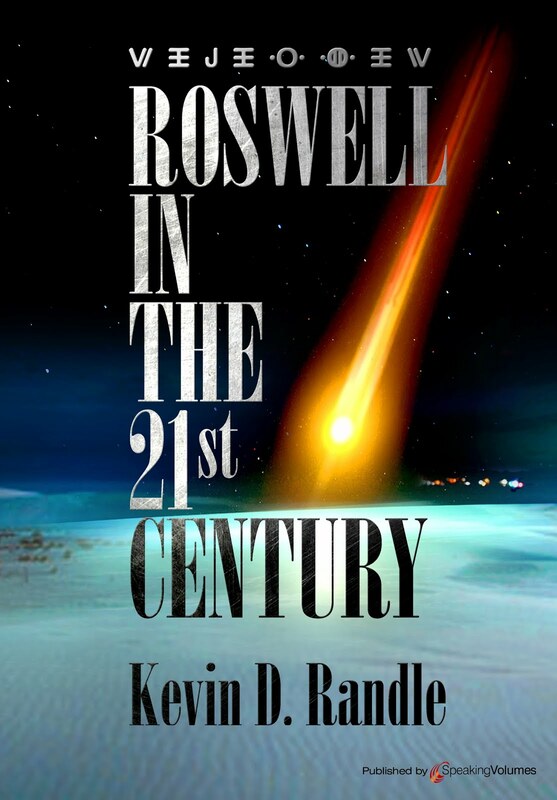 Kaufmann and Shirkey wrote a book together about their Roswell experiences. Does this suggest that Shirkey’s tale is less than reliable? Well, sort of. Though it could be argued that Shirkey’s original tale was of such limited importance and his involvement so fleeting, that he could be excused for not knowing that Kaufmann’s claims were bogus. But not so Philip J. Corso. In 1997, Corso burst on the Roswell scene with his bestseller, The Day After Roswell. He claimed inside knowledge, he claimed that he knew the whole story, and that he was responsible for salting Earth-based technology with that from the recovered alien ship. When Corso and Kaufmann appeared on a radio program together and their stories came into conflict, Corso always bowed to Kaufmann’s greater knowledge. But, if Corso was who he said he was, wouldn’t he have known that Kaufmann was a fake? Why would Corso seem to endorse a man whose tale we now know is faked? Corso’s story is rejected for quite a few other reasons and this is just one more. But it suggests something here. That those who are inventing their tales are quite careful not to label others as frauds. They support one another because in numbers, there is strength. It was something that we saw in the contactee movement of the 1950s. George Adamski, who claimed to have ridden in a flying saucer, at the invitation of the crew, did not dispute the tale of George Van Tassel who claimed to have ridden in a flying saucer at the invitation of the crew. Adamski was friends with the Venusians and Van Tassel with the Martians. Adamski might suggest you couldn’t trust any of the Martians and Van Tassel would suggest the Venusians were not honest, but neither man directly attacked the other. Mutual support. And that is what we have here. Kaufmann, we know, invented his tales of inside knowledge. Corso, would claimed the same thing, supported Kaufmann, as Kaufmann supported him. It is clear from the assembled evidence that neither man had inside knowledge. Where does that leave Walter Haut? He was close to William Blanchard, the commander of the 509th Bomb Group, he was close to the inside on this story, and he was the one who gave us Frank Kaufmann. Doesn’t that call his testimony into question? Shouldn’t he have known that Kaufmann was not telling the truth? Especially when it is remembered that both men lived in Roswell long after the UFO crash and that they apparently knew one another for many years. That, then, is the impact of Kaufmann. We know that his tale was bogus. If these others, who suggested they knew much more, who suggested inside knowledge, were who they claimed to be, they would have known that Kaufmann wasn’t telling the truth. And if they didn’t know, then their own tales are open to criticism. And that is the legacy of Kaufmann. We have a window into the Roswell case that we didn’t have earlier thanks to the destruction of the Kaufmann story. Recently there has been a discussion on UFO Updates about alien abduction. In the course of that discussion some of the myths were laid out for us all to see. It’s time, to challenge these once again, I did with Russ Estes and Bill Cone, Ph.D. in The Abduction Enigma (TOR Books, 1999). I will mention that the book offended a large number of people in the UFO field, but only because they refused to understand the message of that books. One of those who disagreed with the message, wrote, "How anybody can claim that abductions rest with omplicated sleep disorders is beyond me. There are literally hundreds of cases where the people aren't in bed, but are driving, walking etc. There are loads of cases where more than one person is abducted at a time. Now will we hear about a new contagious disease.. sleep paralysis that occurs when people are driving or doing other non horizontal activities?" The answer to this is that few are claiming that sleep paralysis answers all abduction cases. It does explain some. Besides, there is a type of sleep paralysis that does, in fact, affect people who are wide awake and involved in other "non horizontal activities." It’s called cataplexy and before anyone runs off to look it up, I will point out that it is always associated with narcolepsy. No one, as far as I can tell, has ever done any research into the number of abduction witnesses who are also narcoleptic (though I will speculate that the number is quite small). The point is that some abductions, but by no means all, can be explained by sleep disorders.He also wrote, "I have seen no examples that sleep paralysis has produced accounts just like abductions any more than magnetic fields have." Well, then let’s take a look around and see if we can find some examples for you. First is Pat Roach, the Utah woman who said that she and a number of her children had been abducted. She said that she awakened, believed there had been an intruder in the house, then called the police. Over the next two years she became convinced that the intruders had been alien creatures. It was after reading another abduction account in a magazine that Roach made contact with me through that magazine and because of the article I had written. It is quite clear to me that Roach was led into her more detailed descriptions by Dr. James Harder who was looking for some validation of the Hill abduction. It is also clear that Roach took cues from the magazine article I had written about another abduction. Her descriptions of the interior of the craft, for example, mirrored those in that article. Between sessions, Harder discussed with Roach other abduction cases. Just before the session in which Roach revealed that she had been "medically" examined on the craft, Harder told her about Betty Hill’s examination on board a craft. Harder’s leading questions took her into other arenas. So, this would seem to be a case in which sleep paralysis had produced an abduction account, helped along by the witness reading the literature that was available and by a researcher who fed her additional information between the sessions. Harder, I believe, had the best of intentions, attempting to calm the witness with his stories of other abductions, but all he did was contaminate the case. Oh yes… this was a multiple witness abduction. The genesis was the adult’s episode of sleep paralysis and then two years of discussing this with her children until some of them believed they had been abducted. Budd Hopkins describes the case of "Philip Osborne. Osborne. had seen an NBC UFO special and one night after that awoke, paralyzed. This experience reminded him of another similar experience he’d while he was in college. He awoke in both cases unable to move or call for help. In the latter case, he felt there was some kind of presence in the room with him. I might point out that in about 80 percent of sleep paralysis cases, the victim believes there is something in the room with them. During the hypnotic regression, Osborne gave few answers that took them in the direction of an abduction experience. According to what Hopkins wrote, Osborne told them that he "had more or less refused to describe the imagery or events that seemed ‘too pat,’ too close to what he and we might have expected in a UFO encounter." And, during the discussion after the session Osborne told Hopkins that "I would see something and I would to myself in effect, ‘Well, that’s what I’m supposed to see.’"
The point here is that a case can be made that Osborne experienced, not alien abduction, but classic sleep paralysis. It was under the close questioning of hypnotic regression that details were added to make it into an abduction. Finally, the Roper Poll, about alien abduction and commissioned by Robert Bigelow, had a fatal flaw in it. The five critical questions, those designed to identify abductees by examining their experiences, could also point to sleep paralysis. There was no mechanism in the survey to differentiate between sleep paralysis and abduction. Someone answering the questions on the survey, who had not been abducted, but who had experienced sleep paralysis would also answer these five critical questions in the positive. There is no way to know if the answers reflect alien abduction or sleep paralysis. The Roach abduction shows leading of the witness, much of it outside the hypnotic regression sessions. The Osborne abductionsuggests that Hopkins led him into an abduction, though I believe that Hopkins was unaware of this. Suggesting that there is more to the story, even after the witness has said he or she remembers nothing else, leads to this. The suggestion that the aliens had erected mental roadblocks can also be interpreted to mean that the hypnotist, unsatisfied with the answers, keeps asking the same questions until he or she receives the answers desired. Remember Edith Fiore, interviewing a client about a past life, told the woman, who was unable to recall anything, to "make it up." While this was not an alien abduction, it was in a session using hypnosis to retrieve "lost" or suppressed memories. So we do have some evidence of leading the witness and we have some evidence that not all sessions are benign. But even David Jacobs was aware of the problem with hypnotic regression and wrote about them in The Threat. Jacobs wrote, "When the unskilled hypnotists regress an abductee, they fail to situate him in the event’s minute-by-minute chronology. Without links to a temporal sequence, the abductee can interpret events without the facts necessary to guide his thoughts which leads to confabulation and other memory problems." Lest you wish to argue that he does not include the big name researchers in this, Jacobs writes, "While Mack does not lead the witness in the classic meaning, he embraces the ‘positive’ therapeutic technique that leads to mutual confirmational fantasies and easily steers the abductee into dissociative channeled pathways… it represents the antitheses of scientific research – to uncover facts… John Mack accepts ‘recollections’ at face value." Which is, in fact saying that Mack leads his "experiencers". Jacobs also shows us that he leads the witness. He believes that the abductions are a negative event. He wrote of Pam Martin (a name he invented) and told us, "As a result of her UFO experiences, Pam had come to believe over the years that she was leading a ‘charmed’ life with ‘guardian angels’ helping her overcome life’s difficulties…. After one particularly vivid abduction experience, she decided the aliens were wonderful beings…"
Jacobs later wrote, "I have had over thirty sessions with Pam, and during that time she has come to have a less romantic idea about what has happened to her. She was initially disappointed that what she remembered under hypnosis [conducted by Jacobs] were not the pleasant experiences she had imagined, but she now accepts the [Jacob’s] reality of what has been happening to her." What he has just told us is that an abductee came to him with one set of beliefs and left with another. It is a reality that differs with the one suggested by John Mack. It can be said here that Jacobs led Pam to his negative interpretation of her abduction experience. And John Mack said the same thing. He said, "It seems to me that Jacobs, Hopkins and Nyman may pull out of there experiencers what they want to see." (See Close Encounters of the Fourth Kind by C.D.B. Bryan, p. 271 hardback edition). That’s just a polite way of saying that they lead their abductees to a specific type of abduction. But the point is, there is ample evidence that researchers, no matter how careful and no matter how competent, have lead their witnesses in the direction they want to go. To move research forward, we must be willing to admit this. A while back I had the opportunity to appear on the late night radio show, Coast-to-Coast. I bring this up only because, apparently, the next night the host had on Jim Marrs who talked about the Aurora, Texas airship crash of 1897. I wouldn’t have known this but someone who heard my interview the night before mentioned to me in an email that Marrs had talked about Aurora and suggested that it was a real event. That person wanted to know if Marrs was correct and if there is anything to the story of the crash. And this provides us with an opportunity to examine one of the major problems in UFO research. No case ever dies, no matter how many times it is exposed as a hoax. This is true even when those exposing it range from the skeptics to the believers in extraterrestrial contact. And it continues even when no evidence for the reality of the case has ever been found... or none was found until people began to realize they could get their names in the newspaper or their faces on television if they said something to confirm the case. The stories of the flight of the Great Airship of 1897 provides us with proof of both theories. Although many of the tales have since been shown to be jokes, there are a few that are repeated in the UFO literature with such regularity, and almost with such awe, that it is necessary to provide, once again, all the information about them so that we can work to remove them from that same literature. One of the most famous, and probably the most reported, is the Aurora, Texas, UFO crash that had been the subject of that email correspondence. Typical of the airship sightings was that told by Patrick Barnes to the Fort Worth Register, "which hardly cares to repeat it." He claimed that he was traveling near Cisco, Texas, and spotted several men standing around a large cigar-shaped craft. He went over to talk to them and learned they were on their way to Cuba to bomb the Spanish. They had landed to make some repairs, and soon took off. Their immediate destination was the Ozarks where they planned to train for their self-designed mission. The Aurora crash story, as it is told just days later, suggests the airship appeared about dawn on April 17, 1897, came in low, buzzed the town square and then continued north, toward the farm owned at the time by Judge Proctor. There it hit a windmill and exploded into a shower of debris, damaging the Judge’s flower garden, and house, not to mention his windmill. The townspeople rushed to the scene and found the badly disfigured body of the pilot. T.J. Weems, a Signal Corps officer (think intelligence officer here in 1897), thought the pilot was probably from Mars. Being good Christians, and apparently because no one had anything else to do, they buried the pilot after a short memorial service that afternoon. They also gathered several documents covered with a strange writing found in the wreckage, and picked up tons of material including silver and aluminum that came from the airship. All that evidence has long since disappeared. And that’s it. No follow up stories as tourists flocked to Aurora. No mysterious scientists arriving to inspect the wreckage. No Army response, though one of their own was on hand to report what he had seen. And finally, most importantly, no one ever produced those documents or bits and pieces of the wreckage, though there had been tons of it, at least according to the newspaper report. The story died at that point, and then was resurrected in the 1960s by UFO researchers who stumbled onto the airship tales which had been dormant for about six decades. Suddenly the story of the tragedy reappeared and Aurora, Texas was now on the map with those scientists, researchers and tourists finally making the trek. A large number of people, including Hayden Hewes of the now defunct International UFO Bureau, Jim Marrs, who had most recently suggested the story was real, and even Walt Andrus, the former International Director of the Mutual UFO Network (MUFON) at various times journeyed to Aurora in search of the truth. They all reported they found a strange grave marker in the Aurora cemetery, they found strange metal with metal detectors, and they gathered reports from long time Aurora residents who remembered the story, remembered seeing the airship, or remembered parents talking about the crash. There was also discussion of government attempts to suppress the data. To them, that made the story of the crash real. The problem here is that I beat most of these people to Aurora by several years to conduct my own investigation. I talked to some of those same longtime residents who told me in the early 1970s that nothing had happened. I talked to the historians at the Wise County Historical Society (Aurora is in Wise County) who told me that it hadn’t happened, though they wish it had. I learned that T.J. Weems, the famed Signal Corps officer was, in fact, the local blacksmith. I learned that Judge Proctor didn’t have a windmill, or rather that was what was said then. Now they suggest that he had two windmills. I wandered the grave yard, which isn’t all that large (something just over 800 graves) and found no marker with strange symbols carved on it, though there are those who suggest a crude headstone with a rough airship on it had been there at the time. I found nothing to support the tale and went away believing, based on my own research and interviews, this to be another of the airship hoaxes. Metal collected by all those others, when analyzed here, turned out to be nothing strange or unusual. Some of it was later analyzed in a Canadian lab and their results mirrored those of American labs. So much for the idea that the government, in the guise of the CIA, the Air Force, or the mythical MJ-12, conspired to suppress evidence of the Aurora UFO crash. Isn’t it interesting, though, that none of the metal supposedly gathered by the town’s residents has ever surfaced. The metal analyzed was always recovered by researchers with metal detectors. Isn’t interesting that the strange grave marker has since disappeared and there is no real photographic record of it. There should be for all the research that has been done and the single picture that has turned up showed not an airship but a coarse triangle with circles in the center. And isn’t interesting that there were never any follow up reports from Aurora. First the big splash with the crash and then nothing for more than sixty years. The final, fatal blow for the airship and Aurora crash comes from the original reporter. H.E. Hayden, a stringer for the Dallas Morning News, who claimed to have invented the story in a vain attempt to put his dying community back on the map. He hoped to draw attention, and people, to Aurora, Texas. He was successful. The problem was that he succeeded sixty years too late and those who arrived only wanted to learn about the airship, not settle down to rebuild the community as he had hoped.